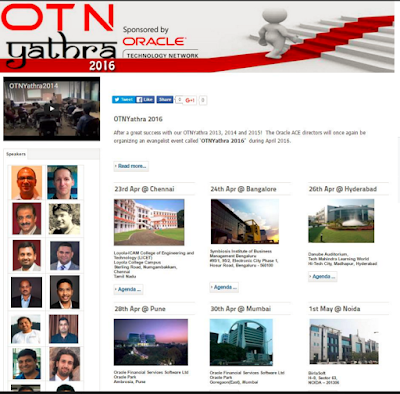 OTNYathra event is back this year in 2016 and once again AIOUG (All India Oracle User Group) is privileged to organised this event in various parts of the Country. OTNYathra is very typical form of series of conferences which starts from North India and covers throughout India in couple of weeks. This year again we have very experienced speakers and we expect to have loads and loads of information on new oracle offerings and oracle's roadmaps. The regional chapters of AIOUG will have responsibilities for organizing the event in their respective cities. North part of OTNYathra will be managed by NIAIOUG(North India chapter of AIOUG). The event will be held on 1st of May in Noida. 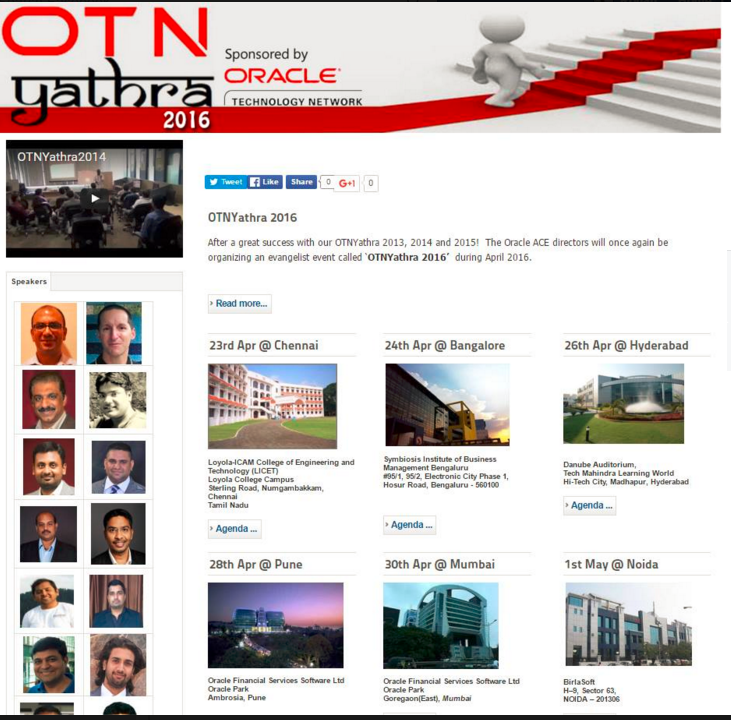 Please do not miss this opportunity to learn and collaborate with the best Oracle Speakers in the world. Below is complete schedule for OTNYathra. If you havn't, Please do register.